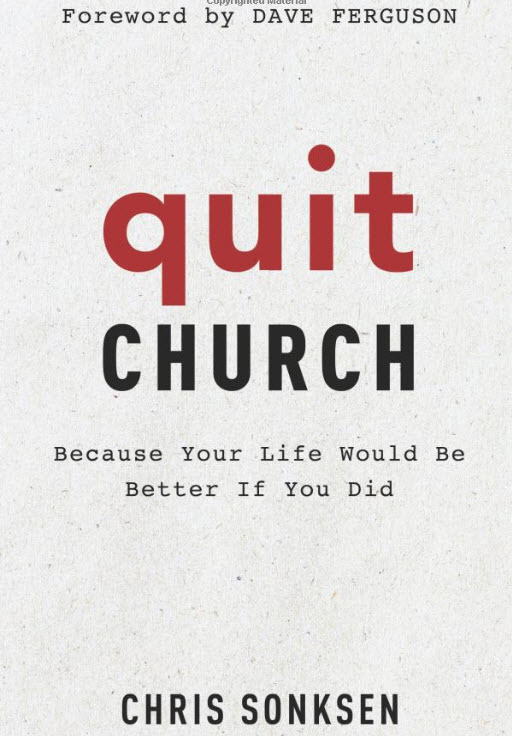 The author is writing about quitting our casual, cultural commitment to church. He talks about things we are supposed to do, but we may do it half baked. For example, you may not tithe because you don’t have the extra money. Chris inspires you to reflect and find out why you don’t have the money. We’re supposed to trust God to provide for us. Are you in debt? Probably. He really calls out why we are not commiting 100% to God and gives ideas on how we can fix that. I don’t lead a church, and I do think the book is written for leaders in the church; however, any of us could really use a kick in the pants to get real with ourselves about why we don’t attend church like we should or why we don’t serve like we should. I’m guilty myself. I wont get into my excuses, but they are just excuses. I liked it, and probably my favorite part was the discussion about giving and trusting the Lord with our finances. I myself am on a tight budget, and a lot of that is my own fault. I’m slowly trying to dig myself out of the hole I’ve dug, and I do pray God help me get out. I also work a lot. So don’t think I’m praying and not actually doing my part. Remember in everything we pray for. We have to do our part, and trust God to do His! I recommend the read. You can find the book on Amazon.